George Sand. Une écriture expérimentale. Catherine Masson, a specialist of theater, is especially interested in new and revolutionary forms of theater. Her approach to theater is not only literary and theoretical, but also practical. In her class, students are introduced to techniques of acting and directing. She is also concerned with the influence of performance on spectators and has studied surrealist and contemporary writers. She worked on the role of the stage director as critic, analyst and rewriter. She has done a montage on Jacques Prévert, Pour faire le portrait de Prévert, which has been performed in the U.S. and in European countries. Her play, “George Sand – Gustave Flaubert, Echanges Epistolaires,” has been performed in France, Switzerland, Germany, and in the USA. She is currently doing research on George Sand, Marguerite de Navarre and Olympe de Gouges as playwrights. Her book, L'Autobiographie et ses aspects théatraux chez Michel Leiris, was published in 1995. 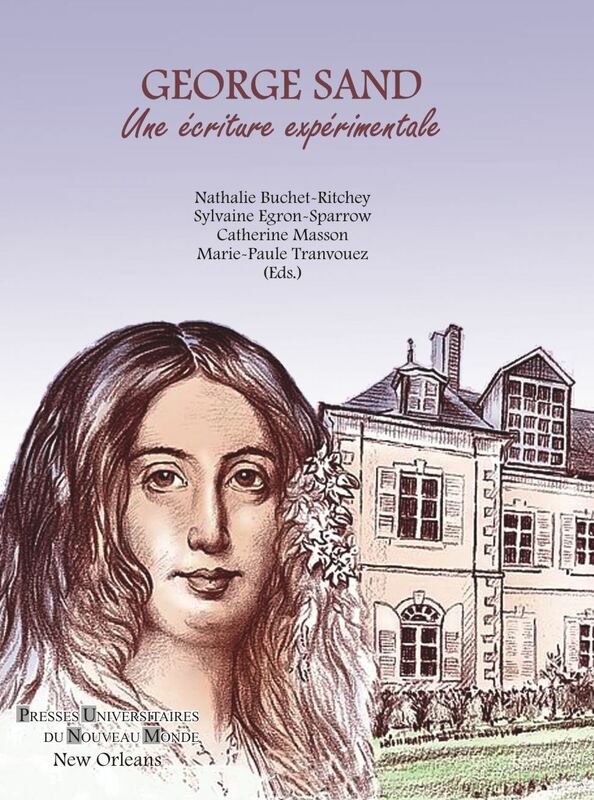 She has done research on women playwrights at the Comédie-Française and has given presentations on Marguerite de Navarre, Olympe de Gouges and George Sand’s theater. She has written articles on twentieth-century theater and since 1997 on George Sand’s theater and on the reception of George Sand in the US. She is working with a team of international scholars on an anthology of women playwrights, Théâtre de femmes, XVIe-XVIIIe siècle Anthologie. She is currently preparing a book: George Sand: Novelist-Playwright. Nathalie Buchet Ritchey was a specialist of nineteenth-century literature in general, with a special focus on the novel. She had studied the representation of transgression and scandal in the XIXth- century novel, and its relation to issues of gender and genre. Her critical focus favored socio-historical, psychoanalytical, narratological and feminist approaches to literature. She had several other areas of interest, including translation and Marcel Proust Studies. She had published articles on various aspects of the novel from the eighteenth to the twentieth century (on Rousseau, Proust, Simone Schwartz-Bart and René-Victor Pihles), on literary theory (the question of metaphor and feminine writing) as well as on issues relating more specifically to the nineteenth century (Flaubert, Balzac, Hugo, Sand, Chateaubriand, and Vigny). Her first book, Fictions du Scandale: corps féminin et réalisme romanesque au dix-neuvième siècle, was published in 1998 by Purdue University Press. She was currently working on a second book project: a study on the relationship between poetical and political revolutions in the romantic era in France, when she untimely passed away. Sylvaine Egron-Sparrow specializes in French civilization. Her areas of interest cover contemporary novels, analysis of films from immigrant filmmakers, and novels from African writers. She has been Director and also Associate Director for the Wellesley-in-Aix program. Marie-Paule Tranvouez is a specialist of the nineteenth-century French novel. In her doctoral dissertation she studied the various ways Balzac begins his narratives using a narratological and semiotic approach. Her teaching interests include French language, cultural studies, civilization and the autobiography as a genre. She is a co-author of the sixth edition of Ensemble: Culture et Société.